Are you considering window fashions? Have you been putting off upgrading your home due to the costs involved? If so, it’s time to strike while the iron is hot! Hunter Douglas is currently offering a rebate promotion, through September 11, 2017, that gives buyers a $150 rebate on select motorized products. 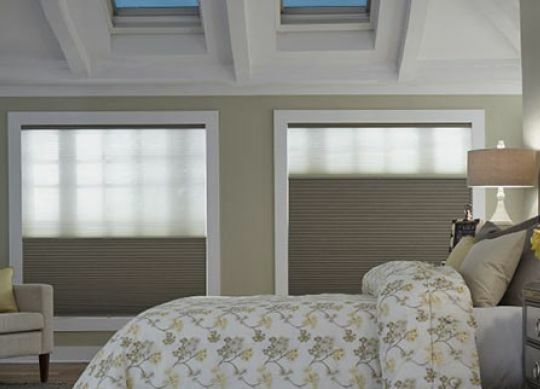 With a long list of qualifying products, including their Silhouette, Duette, Luminette, and Vignette lines, now is a great time to seriously revisit the subject of motorized window treatments and fashions. One of our favorite options offered by Hunter Douglas is the Powerview Hub, which allows you to control your home’s shades with a free app downloaded to your smartphone or tablet. An effective – and impressive – way to adjust the natural lighting in your home, the Powerview Hub gives your home that futuristic, automated feel while simultaneously creating a more comfortable and “homey” atmosphere. Hunter Douglas is the industry’s leading supplier of high quality, well-designed window fashions. Focusing on a seamless merging of both form and function, they believe that a great design must be both aesthetically appealing and functionally useful. In addition to this philosophy, they offer an amazing lifetime guarantee that ensures that your home’s window treatments will continue to contribute to your home’s ambiance atmosphere for years to come. At Flair Interiors, we offer a wide range of custom window fashions and treatments to both residential and commercial customers. Since 1985, we have been committed to helping our customers beautify their homes, simplify their lives, and wow their guests. Providing in-depth interior design services and the absolute best window treatments, furniture, and decorative accessories available, we’ve earned a reputation as Southwest Michigan’s most dedicated interior design company. If you’ve been considering new window fashions, we encourage you to reach out to us today to discuss the awesome promotion offered by Hunter Douglas.